UPDATED: Sun., March 11, 2018, 7:21 p.m.
SANTA CLARA, Calif. – Richard Sherman officially has gone to the other side. The four-time All-Pro cornerback signed a three-year deal with the San Francisco 49ers on Sunday, two days after being released by the rival Seattle Seahawks. The deal reportedly is worth up to $39.15 million. “Richard is one of the premier competitors Kyle and I have ever encountered,” 49ers general Manager John Lynch said, referring to coach Kyle Shanahan. “We look forward to him sharing his wealth of experience and his passion for the game of football with our team. 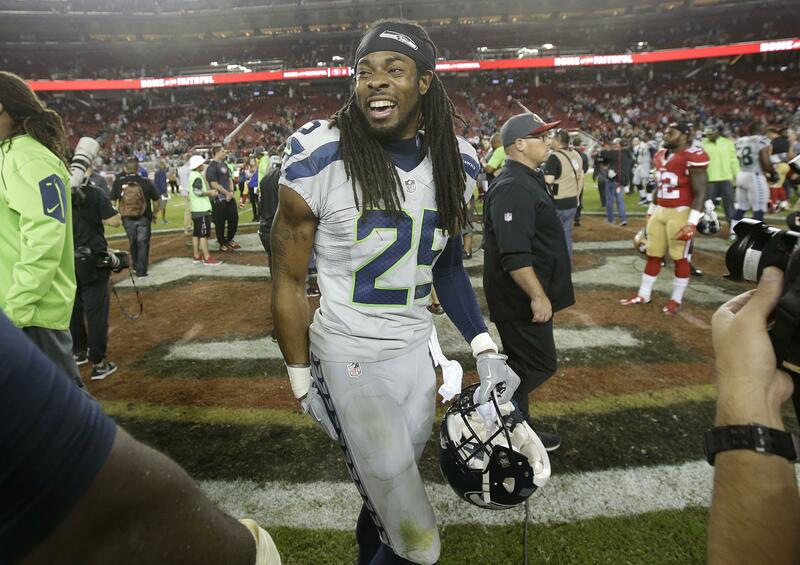 Sherman played an integral role in the fierce NFC West rivalry between Seattle and San Francisco earlier this decade. With the Seahawks retooling their defense, he became expendable. His deflection on a potential winning touchdown pass in the 2013 NFC championship game against the 49ers led to an interception that sent the Seahawks to the Super Bowl, which they won. Sherman then celebrated a Thanksgiving night win in a road game against the 49ers the following season by eating a turkey leg on the 50-yard line. Now, the player who was reviled so much by 49ers fans is joining their team after the Seahawks decided he wasn’t worth his $13 million salary for 2018. San Francisco hopes he can make a big impact even as he turns 30 later this month and is coming off an Achilles tendon injury that cost him half of the 2017 season. Sherman also had a cleanup surgery on his opposite ankle during the offseason. The 49ers had a glaring need at cornerback with 2017 third-round pick Ahkello Witherspoon and slot cornerback K’Waun Williams the only players under contract with extensive experience. The Niners believe Sherman can fill that role in a defense modeled by coordinator Robert Saleh after the one that had so much success in Seattle. Saleh was a former defensive assistant with the Seahawks. Sherman became a star in Seattle, bringing a brash attitude and willingness to speak out on any topic to go along with his stellar play. His best seasons came in 2013 and 2014, when Seattle made two Super Bowl appearances, and he has 32 career interceptions. He still was one of the better cornerbacks the past three seasons, ranking second in the NFL by allowing just 49.2 percent of passes against him to be caught, according to Pro Football Focus. Sherman played his college ball in the Bay Area at Stanford under former coach Jim Harbaugh, who then went up against Sherman during his four seasons in charge of the 49ers. Published: March 11, 2018, 7:21 p.m. Updated: March 11, 2018, 7:21 p.m.